Distributor / Channel Partner of a wide range of products which include nikon120v20w microscope lamp, leica wild microscope lamps 12v 50w, halogen lamp for topcon slit lamps 6v 27w and microscope bulbs. We are leading wholesaler & retailers of NIKON120V20W Microscope Lamp. We source and supply our range of Leica Wild Microscope Lamp in 12V 50W from Germany. 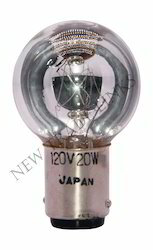 These lamps are available in various shipping weight and lumens. 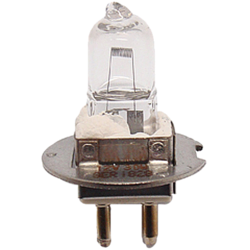 Properly packed, these lamps are low power consuming and assure longer working life. 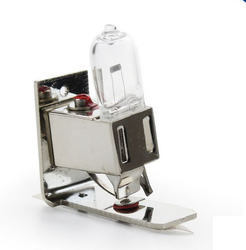 We are engaged in importing and supplying quality Halogen Lamp for Topcon Slit Lamp. Procured from reliable vendors, these are used in Ophthalmology and are appreciated by our clients owing to its quality, high functionality, better illumination and shock proof. Our clients can avail these at competitive prices. 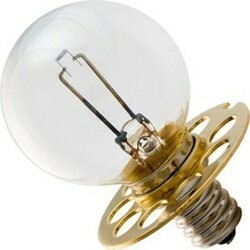 We are leading wholesaler & retailers of Microscope Bulbs.